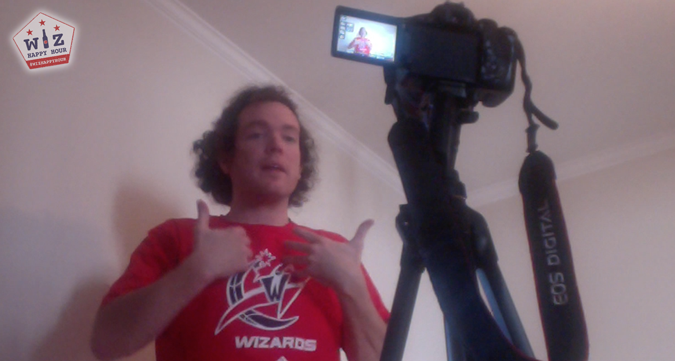 Washington Wizards Fan Happy Hour: Wacky KD 2 DC Bits! 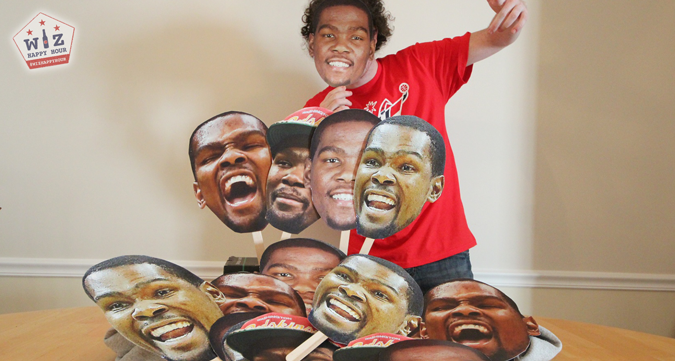 Wacky KD 2 DC Bits! These face mask things are a huge hit and they make for really amazing pictures. 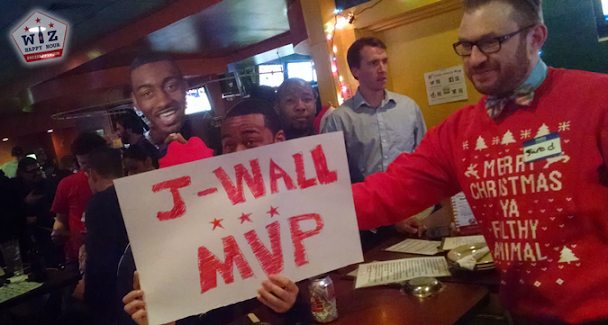 See what we've done in the past with John Wall, Lebron James, and Anthony Davis! You don't HAVE to make a poster about Kevin Durant! Make one for your favorite player. 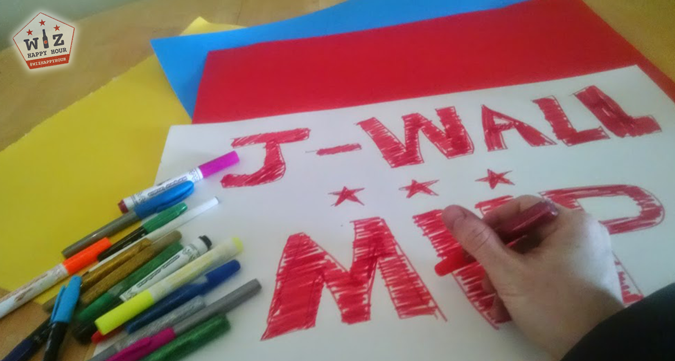 We will be taking group pictures so make sure you come up with a clever sign! Ok what in the heck is this? Well it is simple. 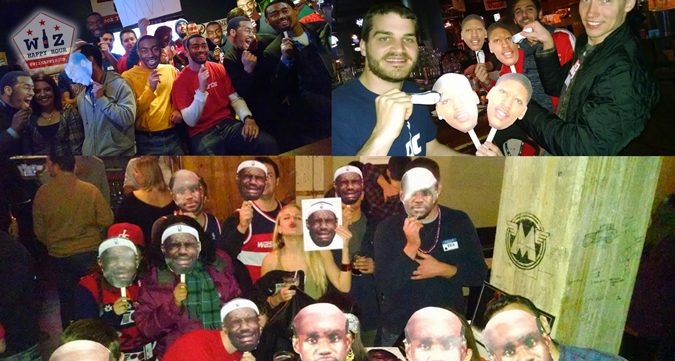 We take the party game you used to play at your 7th birthday party and put a little NBA spin on it. 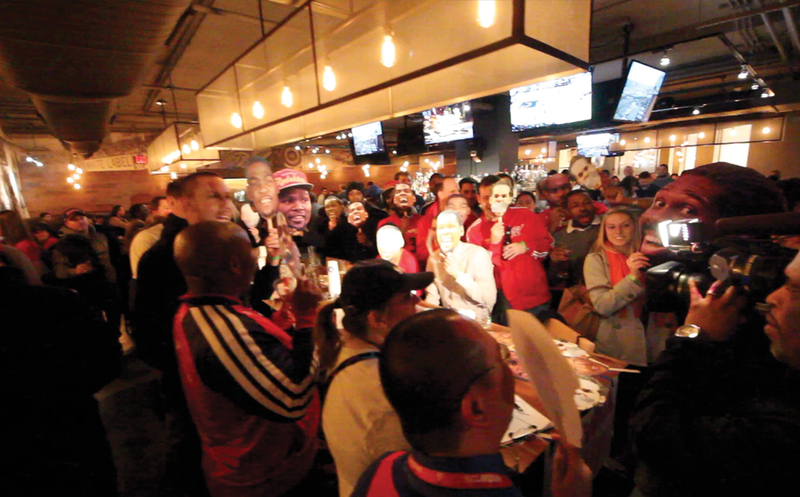 If you can get the Wizards jersey on KD it is a sign that he will choose to come to DC!...Blindfolded at a bar...what could go wrong? 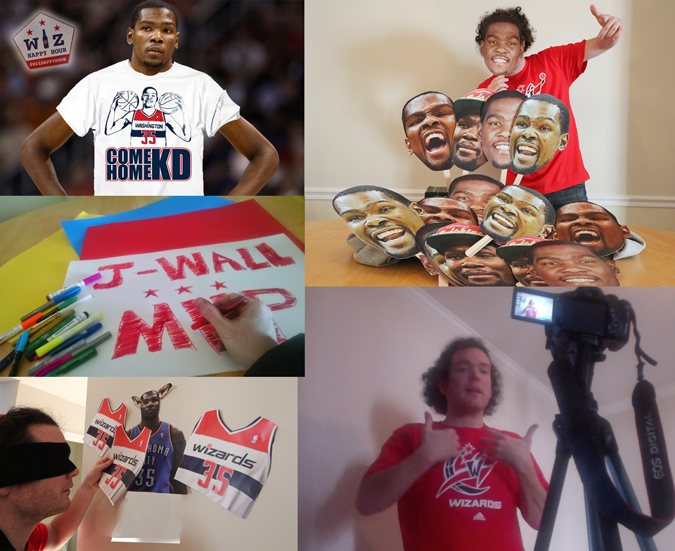 Want to send a personal message to Kevin Durant? We will have a camera set up so you can record your very own recruitment pitch to KD! 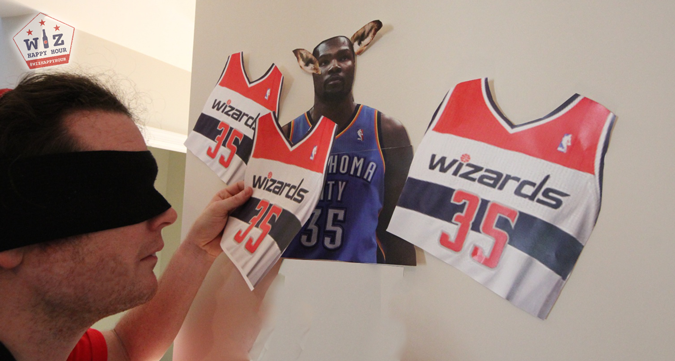 Tell him what you love about DC and your Wizards and make him an offer he can't refuse. Contrarily you can let KD know that we don't need him, we've got a guy named John Wall who can lead us to a championship on his own! 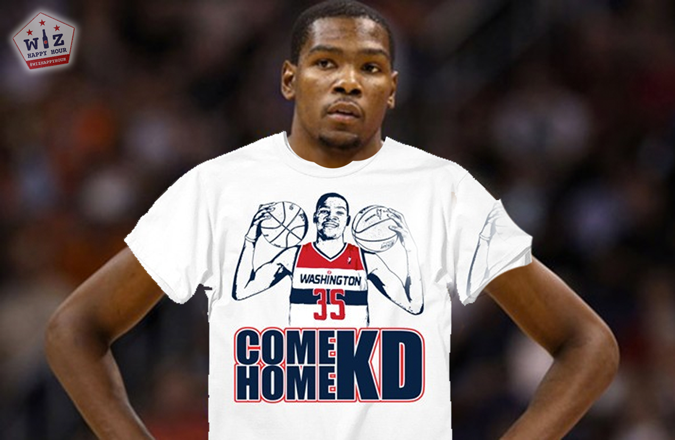 The cool people at Come Home KD (#ComeHomeKD) have offered up one of their awesome T-Shirts as a prize. You can also buy a shirt now (proceeds to charity) if you can't wait til Friday! There will also be other Great prizes as well if you come out! 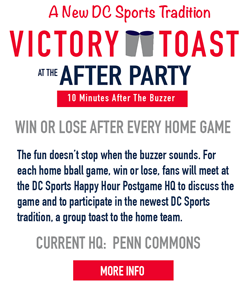 So be sure to join us for all our wacky bits on Friday Night at 7pm @ Lou's City Bar in DC's Columbia Heights (green/yellow line) neighborhood. RSVP to let us know you are coming. We'd love for you to get in on the schtick!